« Weekly eats – hotdogs! butter and maple syrup, to serve. Blend the oats briefly in a food processor, then add the remaining ingredients and blend until smooth. 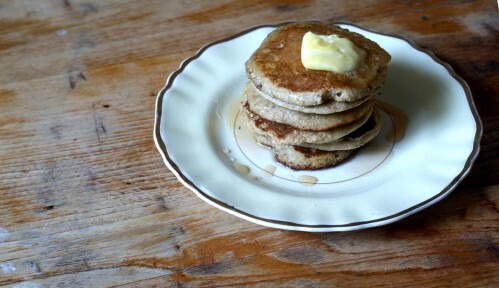 Heat a splash of oil and a knob of butter in a large frying pan and add two tablespoons of batter for each pancake. Cook for a couple of minutes on each side then transfer to a plate lined with kitchen paper and keep warm in a low oven while you cook the remaining pancakes.